KUCHING: Malaysia’s palm oil futures hit a fresh three-year low on Friday over worries that a hike in production would add on to inventories as global countries slow down on buying crude palm oil (CPO). The benchmark palm oil contract for November 2018 delivery on Bursa Malaysia’s Derivatives Exchange (MDEX) was down to RM1,880 per tonne at Friday’s close. According to Bursa, CPO delivery prices traded between RM1,885 and RM1,930 per tonne on Friday. Philip Futures Sdn Bhd derivatives product specialist David Ng said that CPO prices continue to see pressure amidst persistent signs of weaker exports and higher production. “Traders will be looking ahead to the Malaysian Palm Oil Board report due on Monday on export figures for the first ten days of this month for market direction,” he added. Closer to home, another trader based in Singapore said there was a debate as to whether r (CPO) spot prices in Sarawak can break RM1,800 by month end. The situation for the state is made worse when compared against Indonesia whose CPO price is currently lower than US$450 per tonne. “At an exchange rate of RM4.17 per US dollar, RM1,900 translates to about US$455,” the trader estimated. “Given the cheaper freight costs from Indonesia Straits ports to India — being cheaper than Bintulu to India by US$3 to US$4 per metric tonne — Indonesian prices are effectively US$7 to US$10 cheaper than Sarawak. “The most discouraging part is that there is no light at the end of the tunnel,” the trader said. 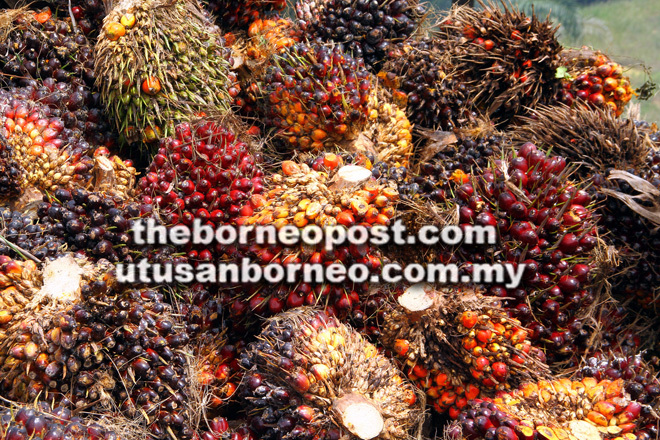 This comes as the Malaysian Palm Oil Association on Thursday reported that Malaysia production is estimated to be eight per cent higher month-to-month, at two million metric tonnes. “With demand still weak and production still strong, Malaysia would be registering record stock of 3.2 to 3.3 million metric tonnes in CPO stock by the end of December,” the Singapore-based trader said.